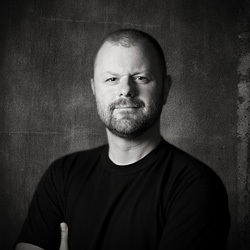 Jeff Gaydash Studios began as the personal studio of fine-art photographer, Jeff Gaydash. This state-of-the-art digital print space, dedicated exclusively to black and white fine-art printmaking allowed Jeff to take his life’s passion ever further. Elevating the craft of fine art photographic printing to an art form, Jeff Gaydash Studios now offers its services to both demanding professionals and serious amateurs worldwide who are looking for the absolute highest quality in photographic printing. To meet the highest standards in his personal work, Jeff set up a state-of-the-art digital print studio dedicated exclusively to black & white fine art printmaking. The studio uses the finest equipment and materials available to produce superior results in craftmanship and archival longevity. Jeff uses Piezography, a system which replaces the standard inks in an Epson printer with up to seven individual shades of monochromatic ink. The Piezography system also bypasses the Epson printer driver, instead utilizing a specialized software RIP and custom profiles which control the output of each individual shade of ink. Printing black & white on a color printer presents compromises. Piezography K7 utilizes seven individual shades of black ink compared to three used in Epson's ABW (Advance Black & White) mode. The result is a smoother tonal range, greater detail and superior print longevity. In 2011, Jeff began offering his expertise in printing to other photographers who demand the best in digital black & white reproductions. Jeff's works closely with each client to offer a fully customized solution that suits each individuals aesthetic requirements.